That’s the way drivers feel about the 2018 Ford F-150. Not only has this truck taken the Motor Trend Truck of the Year(r) Award, but it’s continuing to wow customers away from its competition. If you’re already a Ford F-150 loyalist, or you want to graduate to a top-line truck that won’t disappoint, it’s time to head to Kings Ford in Cincinnati, OH. Our line-up of new Fords includes the <strong>2018 Ford F-150</strong>, as well as other high-powered Ford vehicles. Check out our showroom models, or have an F-150 created just for your needs. Packages start under $30,000 at Kings Ford, where you can always find this bestseller. 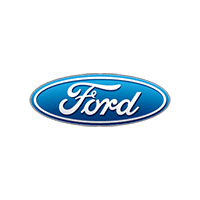 It’s no secret that the Ford Motor Company has dominated the automobile and truck making scene for more than 100 years. What you might not realize, though, is that the Ford F-150 has seriously long roots. The first model of what would become a staple for millions of truck enthusiasts around the world arrived fresh from the Ford factory in the late 1940s. The post-World War II Ford F-Series looks amazingly vintage to modern consumers, but was leading-edge when it rolled off the assembly line and into garages everywhere. With the Ford F-Series, consumers had the opportunity to change up the looks of their truck. More than anything else , they could choose the weight ratings that appealed most to their truck usage and wallets. This helped weed out commercial from recreational needs, and enabled people to get what they desired out of a quality machine. Having the ability to choose their preferred forms and chassis made all the difference. Of course, the F-Series didn’t remain stagnant; no top-line vehicle should. Every few years, an evolutionary jump occurred. Consider these mini-quantum leaps as fresh starts for the classic. With each new iteration, the F-Series became ever-closer to the 2018 F-150 we embrace so readily today. Over the years, Ford toyed a bit with special variations on the F-Series. Who could forget the popularity of its mid-1990s Eddie Bauer model? Not only did it appeal to truck-loving guys and gals, but it had its own chic design and ambiance. Truly, it was an F-Series that developed a cult of personality! Another hit was the F-Series Harley-Davidson. Again, it had a tone all its own, and lasted for a dozen years until 2012 when its basic premise and form was absorbed into another F-Series edition. What’s next for the truck that’s been heralded by Motor Trend, Kelley Blue Book, Texas Auto Writers Association, Popular Mechanics, and plenty of other well-known publications and groups? One thing’s for certain: It’s going to be a fun ride finding out! With each new year, the Ford F-150 adds just a few more delights and surprises. The 2018 Ford F-150 isn’t just Best in Class for its performance, capacity, and features. It’s also Best in Class for its smarter financing options, especially when you work through Kings Ford in Cincinnati. Our goal is to provide you with financing that works based on your credit record and other considerations. Talk to us today about special offers, including zero-percent and low-percentage APR rates and financing choices. Why wait to own one of the most recognizable trucks on the market? A 2018 Ford F-150 is just a showroom stop away at Kings Ford. 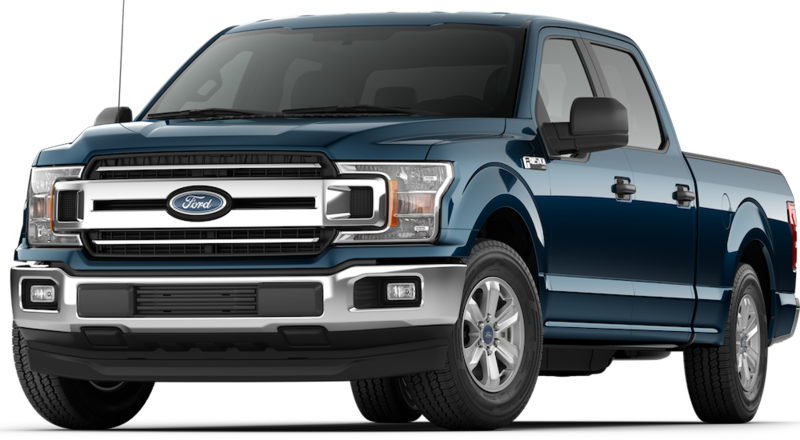 The 2018 Ford F-150 is part of the 13th generation of F-150 models. As such, it’s kept everything you’ve come to love and trust about the truck, with a few extras. Superior Payload: Now, you’re able to transport just under 3,300 pounds in your truck. Use it for residential or commercial purposes and always be able to count on it to haul like a pro. Incredible Towing: Have to tow a monster? This beast can lug more than 13,000 pounds with true ease. Just hitch it up and go. Phenomenal Features: You say you want some great features? Try these on for size: integrated step on the tailgate; remote release on the tailgate; box side steps that conveniently deploy; and Backup Assist(tm). And that’s just the beginning… when you go with an F-150, you can expect much more for less than you imagined. Smart Technology: Just like its Ford brethren, the 2018 F-150 has plenty of smart technology integrated into its state-of-the-art design. You’ll get all the benefits of technological advancements without sacrificing anything you love about Ford’s best-selling truck. Tough-as-Nails Frame and Body: Pair an aluminum body and a steel frame and what do you get? That’s easy: A strong base that’s ready to work as hard as you. Eco-Boost Add-On: Feel like getting your eco on? Try an EcoBoost engine upgrade on the F-150 2018. You’ll only notice how well it performs on the road, not to mention how much it saves at the pumps. Envision the excitement of bringing home a 2018 Ford F-150 to your garage today. 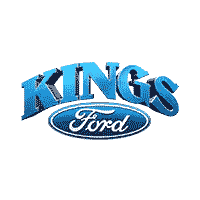 Talk to Kings Ford and find out how simple it is to trade in your old truck for a brand new Ford. Or, purchase another truck to add to your personal fleet. At Kings Ford, we know trucks, cars, SUVs, and all the vehicles you want for work, recreation, and just-plain-living. Let us introduce you to the 2018 Ford line-up right now. Can’t wait to get behind the wheel? Visit Kings Ford for a no-obligation test drive on a brand new 2018 Ford F-150. It’s worth a trip to our Cincinnati showroom and lot!